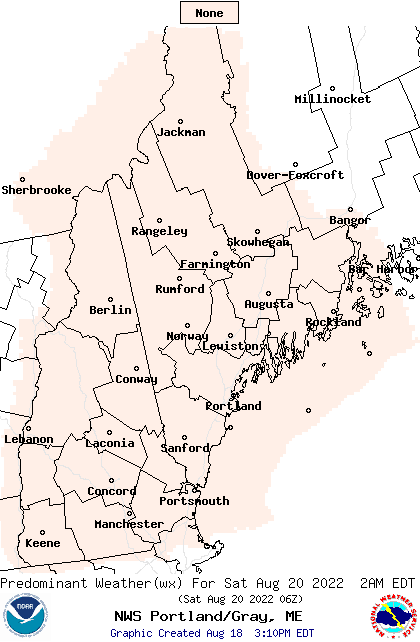 The National Weather Service in Grey Maine publishes weather data, forecasts, maps, watches and advisories and snowfall forecasts. This page is designed as a portal to access to that data. 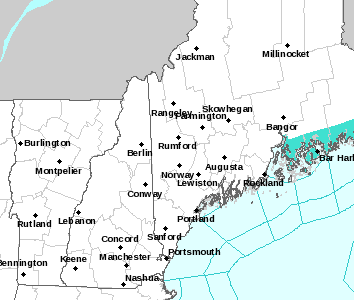 The NWS GYX county warning area includes several great New England ski areas. 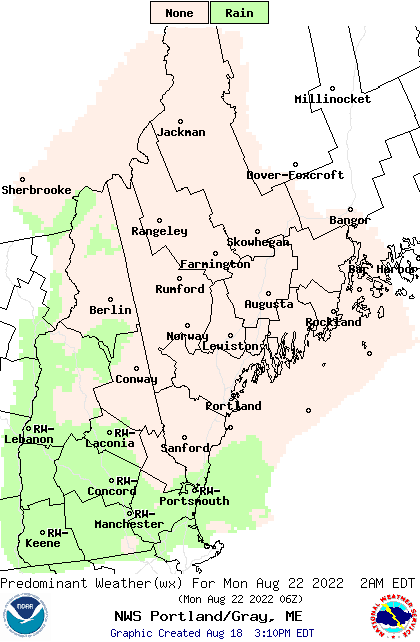 In New Hampshire, Cannon, Wildcat, Attitash, Gunstock, Waterville Valley, Bretton Woods and Loon Mountain are in this zone. 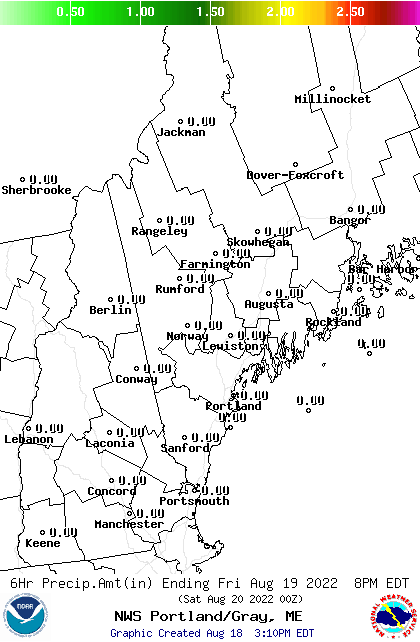 In Maine Sugarloaf, Sunday River and Saddleback are covered. 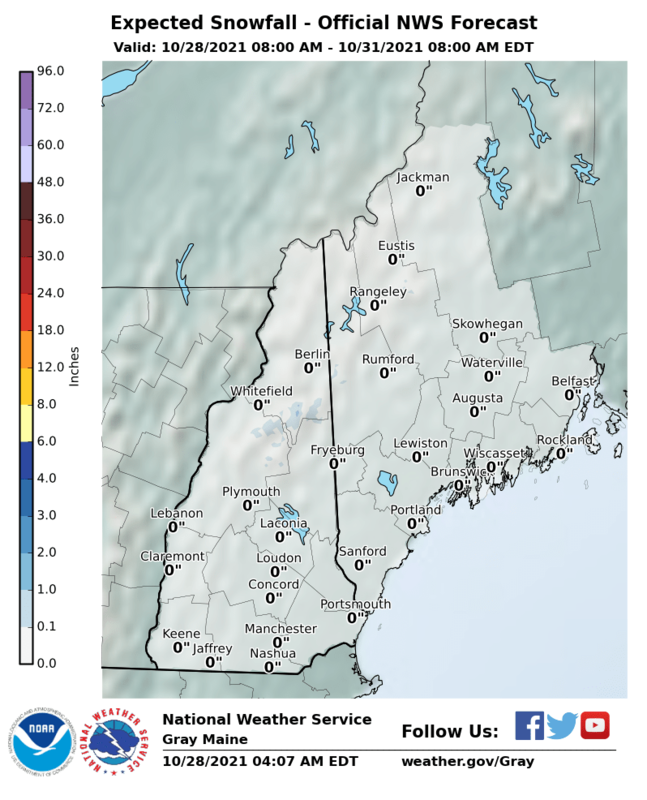 We’ve added the NWS GYX point forecast map, radar, temperature and precipitation reports and a link to the GYX forecast discussion, webcams and ski reports from New Hampshire and Maine. For more information on the weather and skiing on the East’s highest peak, see our page dedicated to Mount Washington. 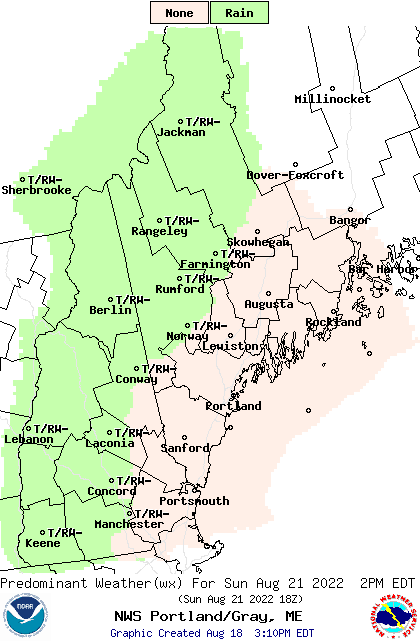 Directly below is the medium-term forecast for GYX zone, click thumbnails to enlarge maps. 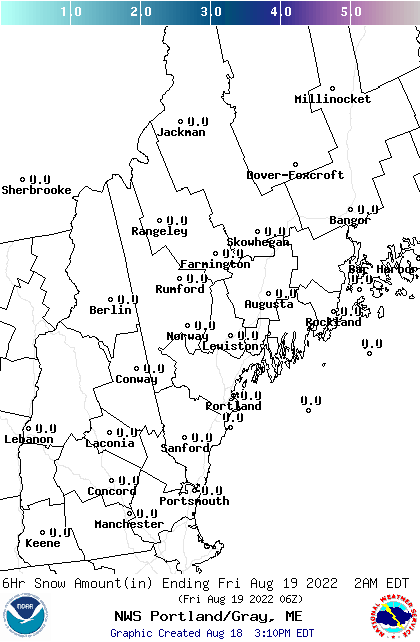 We want this page to be a go-to source for GYX weather info. If you’ve got ideas about how to make this page more valuable, post your thoughts here on the Blog, or in the Weather Page Thread in the NY Ski Forum, or email us. Small maps click to enlarge.